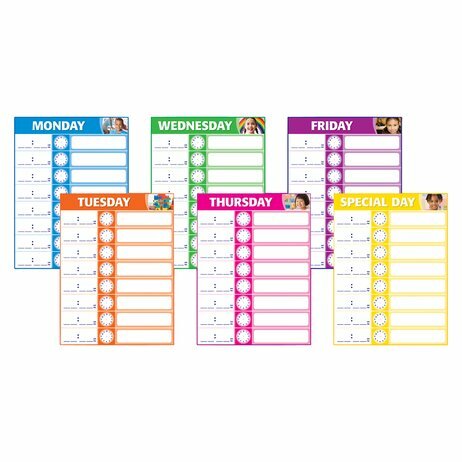 These large wipe-clean charts let children have fun planning each day together. The pack includes six charts: one for each day of the school week – Monday to Friday – plus a special day chart. Each chart measures 46cm x 61cm.